I have been working on a series of documentary projects about Trench Town in Kingston Jamaica with aim to make apparent the web of social, architectural, political histories that have made Trench Town what it is today and allow people who live there to tell their own stories. 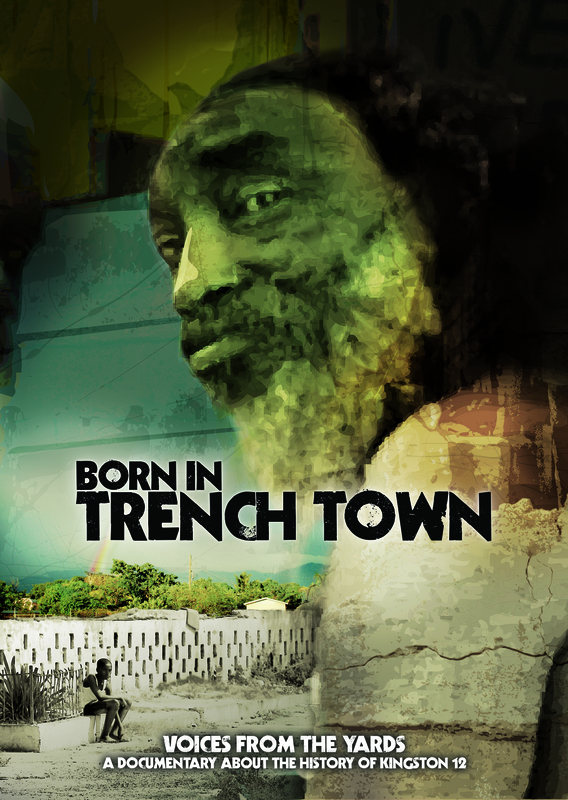 The documentary is called Born in Trench Town. Born in Trench Town takes 2 forms. One is a 3 channel video installation. The other is a single channel version for theatrical and television release . 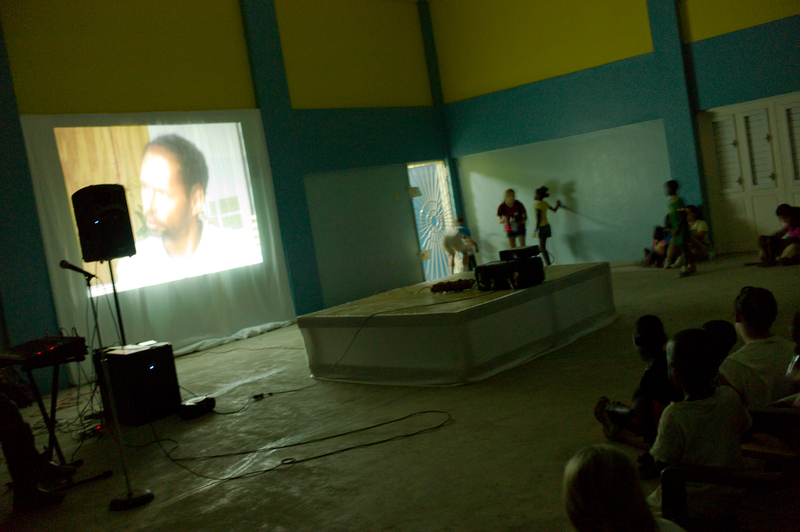 We held our first test screening of the single channel version in Trench Town in January and screened the film as part of Reggae Film’s program for the One Love Festival in Britain on August 12, 2012. Details about more screenings in the UK, US and Jamaica will be posted soon. Video clips from the documentary and of the first installment of the installation and other clips can be found on my vimeo site. This project is possible through the long, dedicated, and difficult work of Dixon Myers, Christopher Whyms-Stone, Sister Grace Yap, and many others in that community. Special thanks goes to Junior Lee, Patrick Lee, Ziggy Souls and Ethel Clark who have supported our work while in their neighborhood and without whose help we could not have done this. 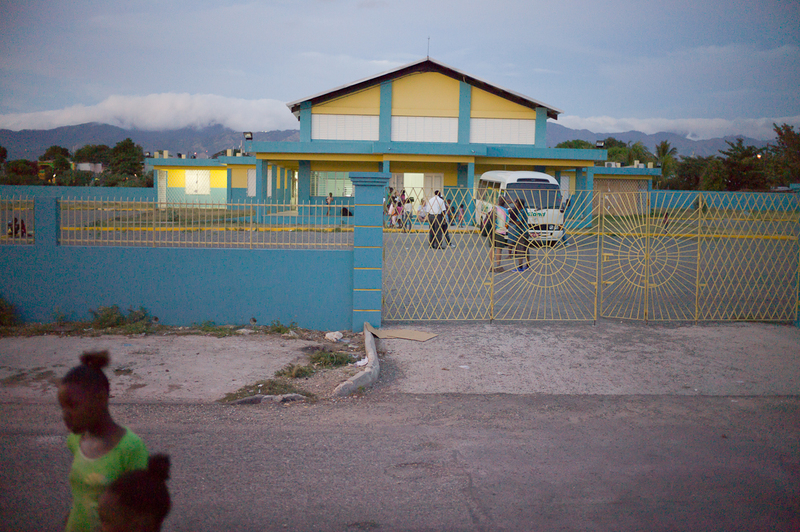 an audio excerpt of Chris talking about his his first day working in Trench Town- it is an example of the brutal violence that can occur there, and poor relations between the people who live in the district of Kingston 12 and the police as was demonstrated once again last summer during the Dudus Coke raids on the neighboring area of Tivoli Gardens. This project takes two forms, a video installation and a feature length documentary. It weaves together social, architectural, and political histories, allowing residents of Trench Town to tell their own stories. The first housing developments in Trench Town, famously known as the government yards, were constructed during the waning years of English colonial rule for returning veterans of World War II and the first waves of poor rural Jamaicans migrating to work in a modernizing city and economy. 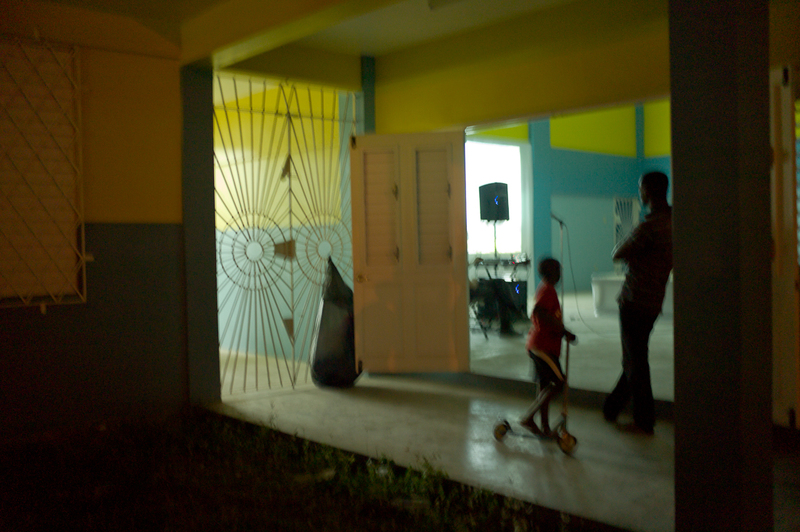 Two cousins founded Trench Town, Alexander Bustamante and Norman Manley, employing architects and urban planners to create housing schemes modeled after communal rural living, small living quarters opening onto shared courtyards, fostering the birth of much of the musical and cultural heritage for which Jamaica is known worldwide. City workers cleaned the streets, schools were built, and the first large movie theater in Kingston opened there. Trench Town was a model for lower income housing development with utopian aspirations for the soon to be independent nation. Bustamante and Manley were leading members of Jamaica’s elite. Each established one of the principal and opposing political parties, the Jamaican Labor Party and the People’s National Party, after independence from the British in 1962. Through efforts to gain more seats in parliament, future plans for the district changed. New housing was designed to accommodate increasing numbers of political supporters of whichever party was in power. The architecture shifted to support whomever held the reigns in government rather than the residents. The political shifts of the nation are mapped in the architecture and neighborhoods became distinctly divided along political lines. 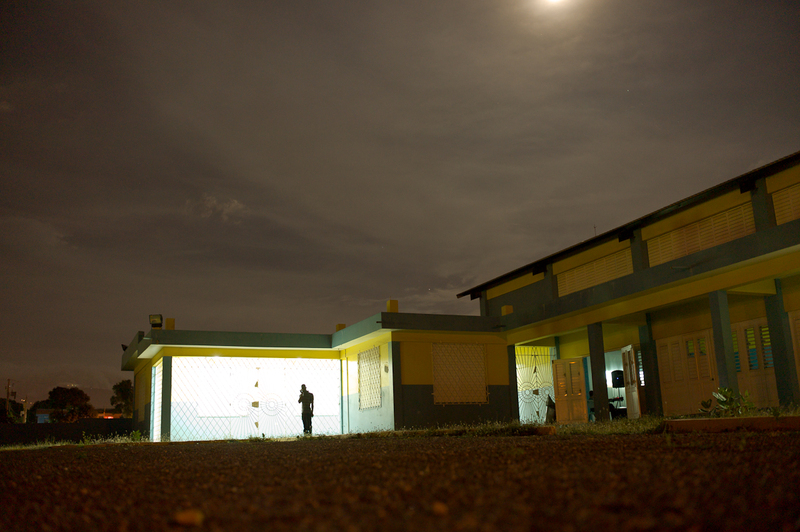 The first gunshots between the political rivals of these neighborhoods were fired in Trench Town in 1976. The violence persists today through an established system of gangs and power structures that connect the most impoverished neighborhoods in the capital with the highest levels of government. 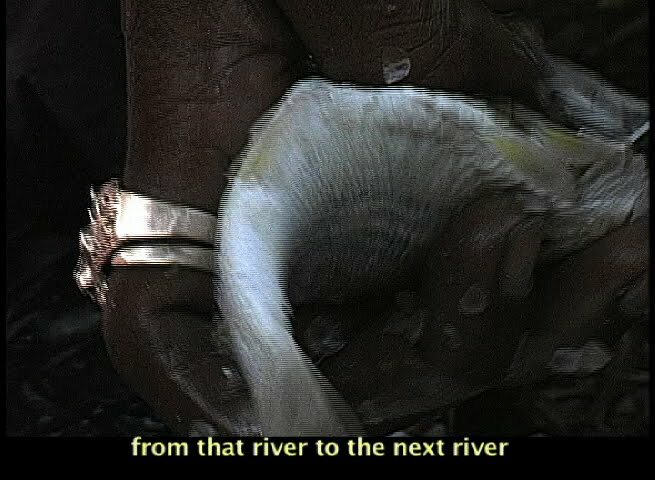 The documentary comprises interviews and scenes of daily contemporary life. Many inhabitants of Trench Town have lived there since the beginning and have witnessed the entire history. For younger residents, who did not know the community before the violence started, perceptions and life are markedly different. The video traverses from First to Seventh Street through the maze of holes in the walls that separate the yards, created when it was too dangerous to walk on streets, stopping along the way to consider the conditions that created the Trench Town of today. The project also includes interviews in London with Michael Smith, who fled along with fellow community leaders during the 1990’s in order to stay alive. Many of their fellow activists were victims of political rivalry and gang violence. The video installation is programmed to create a dynamic experience, shifting scenes and aligning interviews and imagery across three screens, reflecting the complex history and experience of the place. The feature length version is intended for theatrical release and/or distribution on television. 2012 is the 50th anniversary of Jamaica’s independence. Arrangements for the documentary to be screened in Kingston this summer are part of this project.